The i9-9900k is a top performer in octa- (eight) core processors. If you’re looking for top end performance for high-end gaming, video editing, programming, and other demanding uses, this is the processor for you. Sheer power. However, al of that extra power does equal more heat output, and if you don’t have the right cooling setup, you could easily overheat your processor or short out the motherboard. So before putting your i9-9900k through the works, let’s make sure you have an excellent air CPU cooler for it. 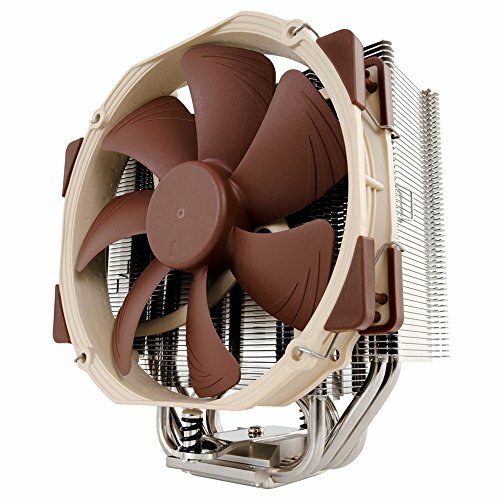 Not sure what the best air CPU coolers for i3-8350k are? We’re showing you seven of our favorite choices below. Here are our top picks! 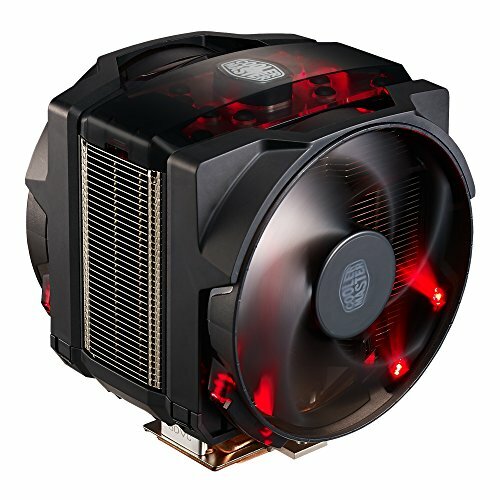 Looking for an option that you can rely on for overclocking capabilities? Then you’ll definitely want to check out what Cooler Master has to offer in the MasterAir MA410M. If you do a lot of overclocking, Cooler Master actually allows you to monitor the temperature on this one through color and RGB lighting. It does through what Cooler Master calls a Thermal Detection Sensor — this sensors monitors your processor’s temperature levels, and then uniquely displays the temperature through color lighting effects. Obviously, this is most ideal for transparent cases where you can keep a close eye on what’s happening. However, hear shouldn’t be much of a worry in the MasterAir MA410M. It features something that is called Continuous Direct Contact Technology (CDC). This technology compresses the heat pipes together, and as a result, this air cooler is able to cover 45% more surface area on the cooler base. That means you’re getting better heat dissipation, and ultimately, can keep things cooler under heavier loads. Of course, some people don’t like the flash style of Cooler Master, and that’s OK! MSI has an excellent option for you in that case, featuring something called the Core Frozr XL, which acts as a normal CPU air cooler. The choice from MSI actually has pretty good capabilities inside, bringing you the company’s own proprietary AirFlow control technology. This works to give you better cooling and air flow on your processor. It does through through using small indentations in the aluminum fins to direct more airflow onto the heat pipes for better cooling. This makes it ideal for those that are more into the overclocking side of processors. This one actually comes with a number of lighting effects inside, which gives you rig some personal style. MSI has an app that you can use to customize all of the different lighting effects inside. And, if you don’t want lighting at all, you can simply turn them off through the MSI app. And don’t worry — this one actually works for many CPU sockets today, including the popular ones like LGA 1151, 2011, and AMD AM4 and FM2 sockets. There are plenty others supported as well. Next in line for the best air CPU cooler for i9-9900k processors is this 14cm U-Series Single Tower CPU Cooler. If you’ve got a tower case and a large form factor motherboard, this one by Noctua is easily the choice to go with. It’ll keep your processor as cool as a cucumber under heavy loads, such as the high-end gaming, programming, and video-editing we mentioned earlier. As an added bonus, it comes with easy to follow instructions and the heat sink that you need to get things up and running quickly. Next, we have the Cooler Master Hyper 212, the perfect choice for those on a budget that are looking for high end cooling performance. 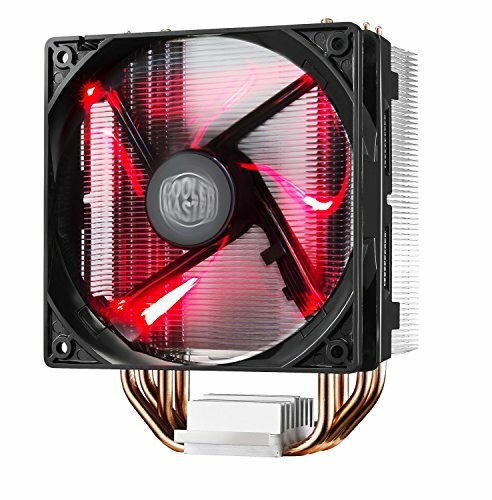 The Hyper 212 is made out of fairly cheap parts, which is where the “budget” part of this cooler comes in; however, don’t let its budget price point fool you — the Cooler Master Hyper 212 is a top performer. There are several heat pipes built into this one that make direct contact with your processor, allowing the cooler to dissipate heat at a quick pace. If you don’t want to spend a whole lot of money on an air CPU cooler, the Master Hyper 212 won’t steer you the wrong way. In fact, this one even has red LEDs built into the fan to keep your system looking tricked out — unfortunately, the color cannot be changed. This one is, however, very versatile, working for most Intel and AMD sockets on the market. 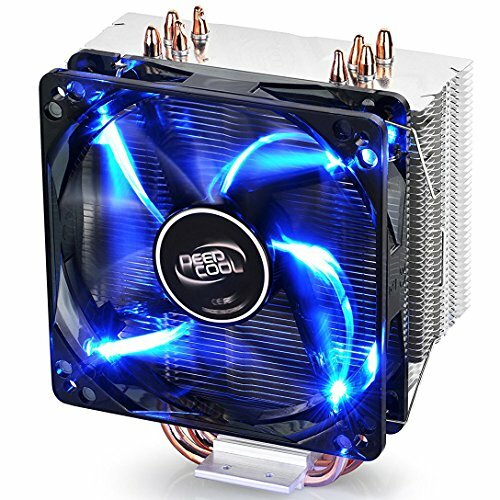 A brand well known for its computer parts and accessories, Cooler Master also makes the MasterAir Maker 8 air CPU cooler. Attach this one to any Intel or AMD socket — such as with the i9-9900k and its LGA 1151 socket — and it’ll be able to keep things running supper cool. 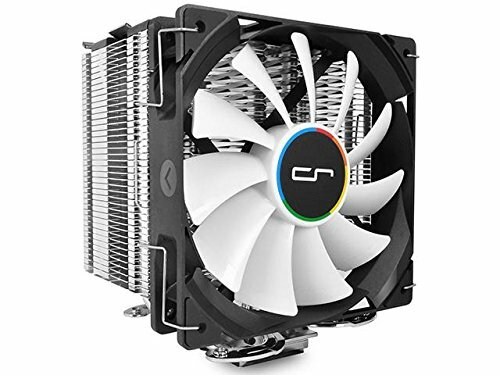 This one actually has some unique technology with a 3D Vapor Chamber, which keeps your processor as call as can be at all times — heavy loads or casual idling is no match for this cooler. It actually has eight pipes on the cooler, which means the MasterAir Maker 8 is able to dissipate heat at a quick pace. Another tower cooler, this one is fairly large, but fits with most Intel and AMD sockets. 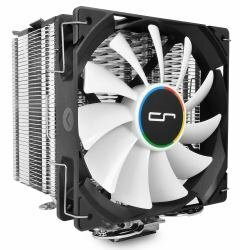 Before buying, you just need to make sure that you have the right case — as the name implies, this one is marketed more towards tower computers, but the Cryorig H7 Tower Cooler is able to keep your processor cool without a hitch. It can handle demands like overclocking, video editing, and high-end gaming easily. Your i9-9900k will be able to stay cool at all times. It might be a little more difficult to install on many standard cases, but still possible depending on the hardware you have packed inside. And last, but certainly not least, and a personal favorite of ours due to the versatility, is the DeepCool Gammaxx 400. Attach this one to almost any Intel or AMD socket, and it’ll be able to keep your processor cool under almost any situation. You shouldn’t have trouble fitting this one in any PC setup, so you won’t have to necessarily worry about the size of cases here. It’ll keep your i9-9900k cool no problem, but comes at an affordable price that is much easier to swallow for those spending thousands on building out their own PC. We’ve shown you seven of the best air CPU coolers that you can pick up for your i9-9900k, so now, which one is right for you and your needs? As you might imagine, any one of these will do an excellent job at keeping your processor cool, even under heavy loads, but if you’re looking at seeing what the limits of your i9 are, you might find a high-end cooler a little more reliable and valuable. So, the DeepCool Gammaxx 400 or the Cryorig H7 Tower Cooler will definitely be more up your alley for that. Both are dependable and reliable, but if you don’t want to spend more than a couple dollars on something, any one of the other budget coolers will do just fine. 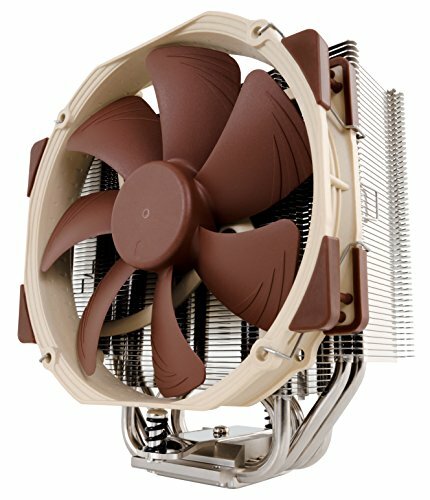 Do you have a favorite air CPU cooler for the i9-9900k? Let us know what it is in the comments section below!